Good news on the heel of the major iOS 8.4 revisions, there is an amazing tweak as “Callbar” now available on your iOS 8.4 iPhone, iPad or iPod touch. Callbar makes it possible to create and take calls from anywhere on your Apple device, ever you join with another application of your iOS 8.4 updated device. This Callbar download can get you jailbreak iOS 8.4 device. Taig is the best jailbreak tool for that because both if Mac and Widows jailbreak versions for iOS 8.4 are available with Taig jailbreak. This great Cydia tweak is direct for those of who feel that iOS stock calling appearance and invasive. 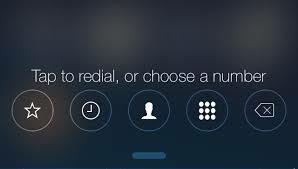 Callbar is very famous Cydia tweak among most of Apple users because it changes the incoming call view in like a path so that the call no disturbs the work that currently you are doing with your iPhone. Really Callbar is great tweak who are busy with their Apple devices. It is available on Cydia app store. But you must pay little cost on that but really it is amazing. Note that free download also is available with adding 3rd party repo’s .